Franco-Albertan by birth, Marie-Josée Ouimet is a singer –songwriter with a passion for choral music. She has a Bachelor of music in Voice from the University of Alberta and recently completed her Master’s in Chorale Conducting at the same institution, under the tutelage of Dr Len Ratzlaff and Dr. Laurier Fagnan. She is currently conducting La chorale Les Chantamis choir of Edmonton as well as Mélodie d’Amour choir for seniors and the vocal ensemble Clé. She was interim conductor for Chorale Saint-Jean’s 2016-2017 artistic season. She has also had the opportunity to offer various choral workshops among them, for the Yukon Summer Music Camp (2014) as well as the Elk Island Regional Honour Choirs (2015). She has worked as project coordinator for the Centre de développement music al since fall of 2004.She has also worked as a vocal coach for various musical activities in the Franco-Albertan community, such as the Galala, La Chicane albertaine and the Gala Albertain de la Chanson now known as Polyfonik. 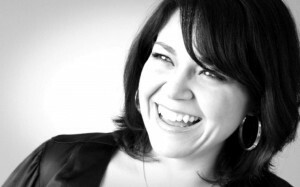 As a soloist Marie-Josée has had the opportunity to travel the country, singing a number of important solo performances in British Columbia, Alberta, Manitoba, Quebec and the Yukon. In 2010 she received the Prix CHFA de la chanson albertaine for her important contribution to the Franco-Albertan music scene. Marie-Josée was the principle soloist for the Elles s’appelaient Marie chorale suite presented by Chorale Saint-Jean in April of 2007 as well as all over the province of Québec in the summer of 2008 to celebrate Quebec’s 400th. She reprised the role of Marie for the 2012 Choralie International in Edmonton as well as in Vancouver and Gaspé in 2013. In Jully of 2008, Marie-Josée was the only soloist invited to sing at the Et si Québec m’étais chantée chorale event. Featuring 1400 choristers from around the world and held at the Colisée Pepsi in front of over 9000 spectators. She most recently has had the opportunity to share the stage with Tommy Banks and orchestra at the Windspear in honour of Indira Samarasekera’s departure from the University of Alberta. Marie-Josée Ouimet has released three albums in her solo career: L’heure bleue (june 2010), Parce que… (November 2003), and Mon clair de lune (November 2000). Both Mon clair de lune and L’heure bleue where nominated for a Western Canadian Music award in the Best Francophone Album category. Marie-Josée also recorded songs for the compilations « Trait d’Union » and « Robert Soul ».